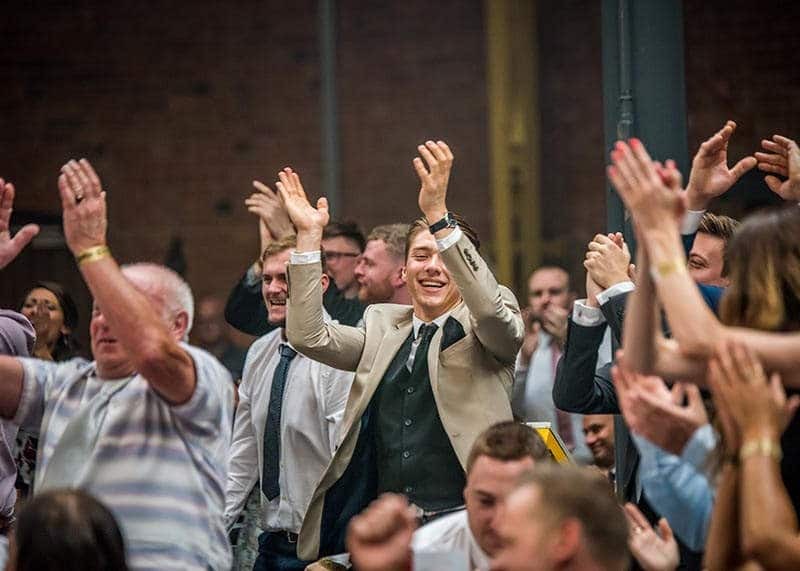 Ultra White Collar Boxing (UWCB) are proud to be a corporate partner of Cancer Research UK, and our participants have helped to raise over £16.4 Million to help beat cancer sooner. Cancer Research UK’s pioneering work into the prevention, diagnosis and treatment of cancer has helped to save millions of lives. Over the past 40 years, survival has doubled, thanks to the great progress research have made. 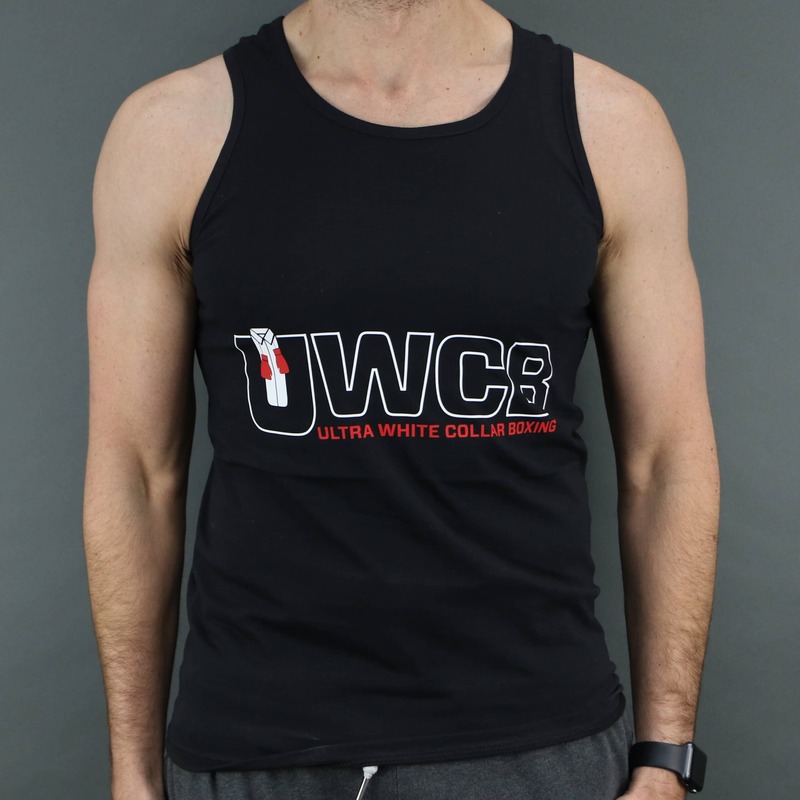 Taking part in a UWCB event will increase your activity levels and make you fitter and healthier. It also provides you with a real target to work towards and which is incredibly motivating. Around 3,400 cases of cancer in the UK each year could be prevented by keeping active. Numerous studies have also found that raising money for charity and helping others can improve your health. Often referred to as ‘helper’s high,’ taking on a challenge for charity can produce endorphins that promote feelings of happiness. There will be days when your motivation is low, or when the last thing you want to do is train for your upcoming challenge. As a group you will train together which helps to motivate each other through the 8 weeks of free training. When you find yourself low on inspiration thinking about the charity, your donations and the people whose lives you are helping to change will spur you on in ways you never thought possible. When you start your 8 weeks of free training you will meet new people, many of them will remain friends for life. Once you sign up you will join a Facebook group with the other participants. You can share training tips, fundraising advice and motivate each other throughout the training and on the run-up to the event. Training with others builds a fantastic sense of community and you will feel a real sense of camaraderie. The challenge you initially choose to take on for charity could lead to lots of other exciting opportunities in the future. For example, Ultra Events organise Ultra MMA, Ultra Comedy, Ultra Darts and Ultra Ballroom events, as well as charity treks with Ultra Adventures. 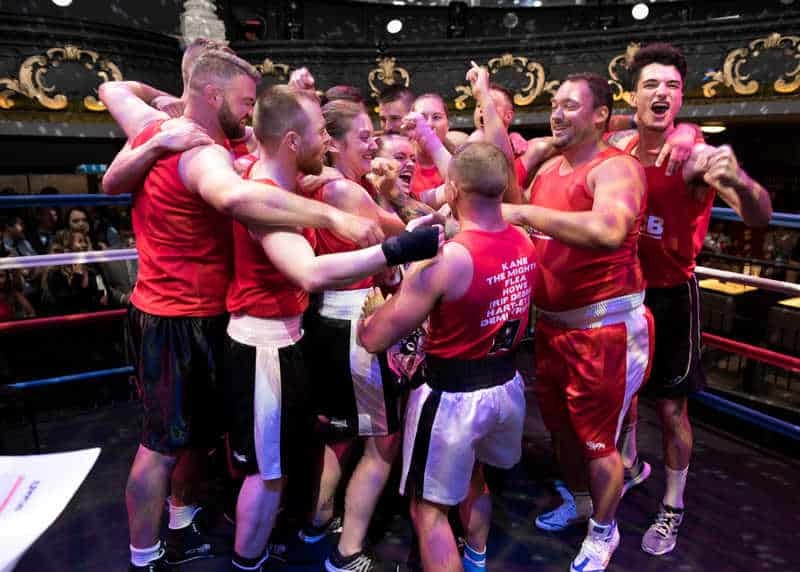 Many people who take on Ultra White Collar Boxing will challenge themselves by taking part in a series of events, raising HUGE amounts of money for Cancer Research UK. This fundraising helps scientists get closer to finding a cure. 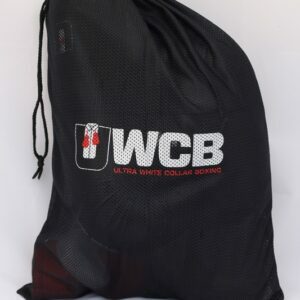 Taking part in a UWCB event will be like no other experience. The event can be a daunting prospect, so it’s good to know that you will be supported every step of the way. From the moment you sign up you will get help with training, nutrition and fundraising to ensure you get the most out of the experience. Ultra Events have a huge team on hand to help and support you throughout your experience. We also have a dedicated support team from Cancer Research UK who will be on hand to help with all aspects of fundraising. Cancer Research UK receives no government funding for their research. It’s only thanks to your generosity that they’ve helped to double cancer survival rates in just 40 years. You, the supporters, are at the heart of everything they achieve. Every step Cancer Research UK make towards beating cancer relies on every pound raised. With your help they can beat cancer sooner. Ultra Events is about people pushing their limits, doing something out of their comfort zone and raising money for Cancer Research UK. 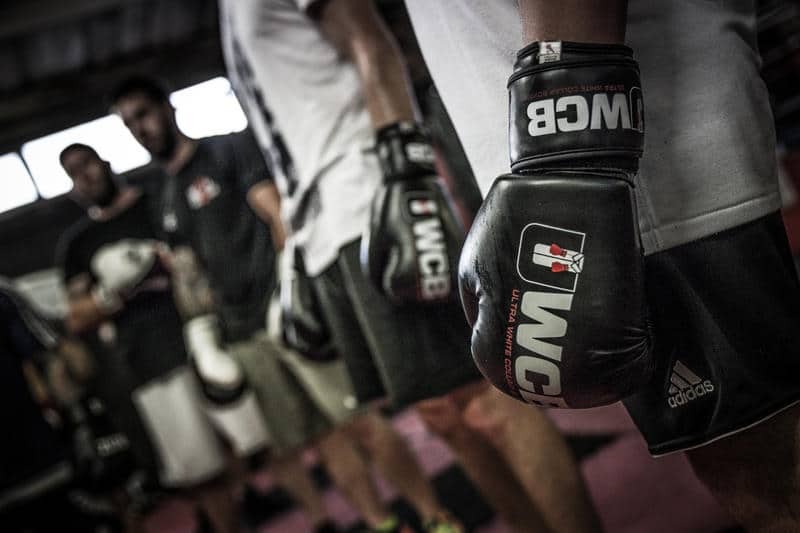 UWCB can be an achievement of a lifetime, an event that can change participants lives. From taking the plunge and signing up on the website, we are on hand to get everyone through the course and ensure you have an incredible experience. 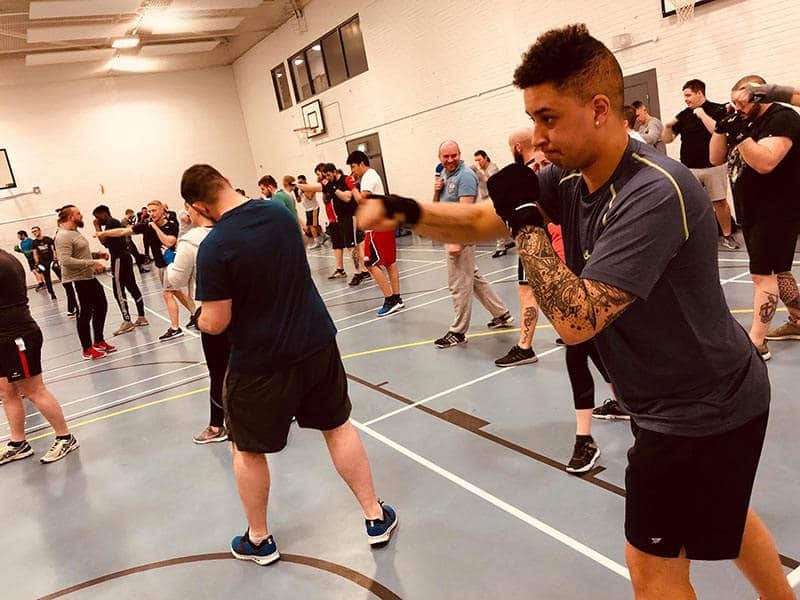 We run 450 events every year, with approximately 20,000 participants and we do our very best to make it accessible and remove what for many is the daunting perception of a boxing gym. 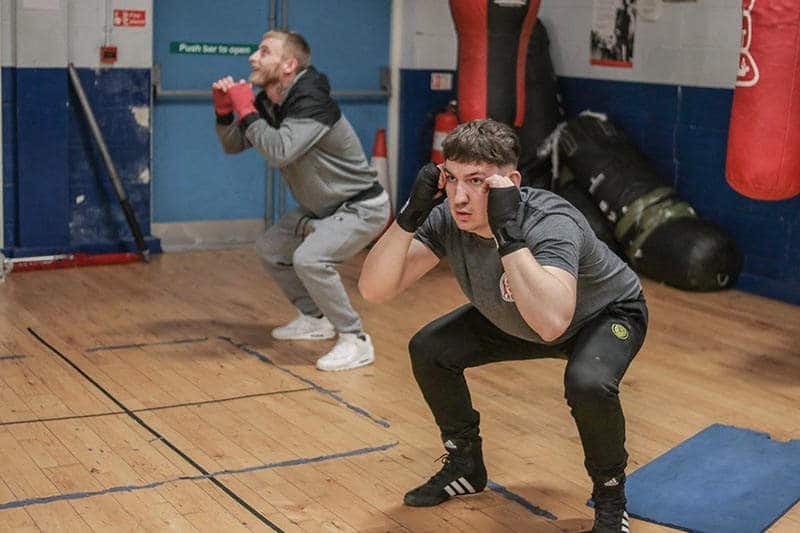 Boxing gyms are far more friendly places than most commercial gyms and once you step through the doors you will see how supportive everyone is. Sign Up: Upon signing up you will receive a text message to join a Facebook group; most of the information across your journey will be posted in this group. You will receive an email from Ultra and an email from Cancer Research UK with details of how to set up your JustGiving page. Facebook Group: This group is an opportunity to get to know the other participants, feel comfortable and get lots of information about UWCB. Rep Contact: Every event is assigned a rep that will look after you and be on hand to answer any questions you have. The rep will text you to introduce themselves and post in the Facebook group, if you have any questions you can message them. 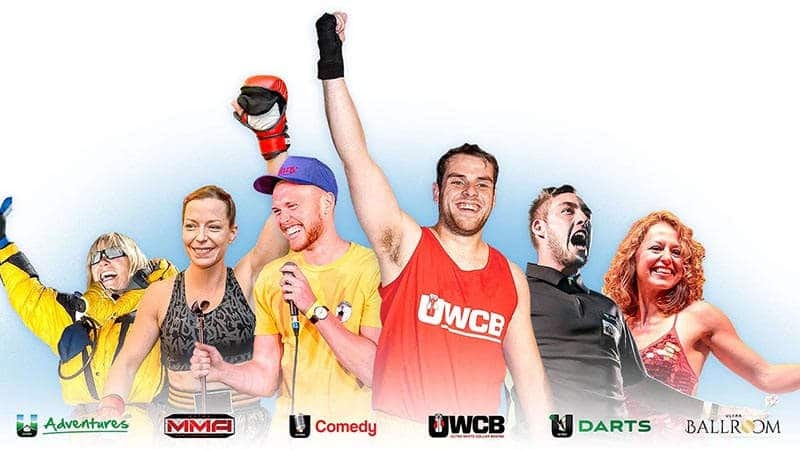 Your rep will organise the event and keep on top of you to ensure you are getting the most out of your UWCB experience. They will check you are raising money for Cancer Research UK and selling tickets to ensure you have a big crowd on the night. The rep will also ask you to provide a CD with your entrance music and will get your vest printed for the big night. Cancer Research UK Contact: Emma CRUK Hallas will be posting in your Facebook group, she works for Cancer Research UK and is on hand to help you with your fundraising. Whatever you need, from fundraising materials to advice, they are there to help! Registration Meeting: We will invite you to attend a meeting approximately a week before the training starts. It is important that you attend as you can pick up your registration pack and ask any questions. It’s also a great time to meet the other group members! 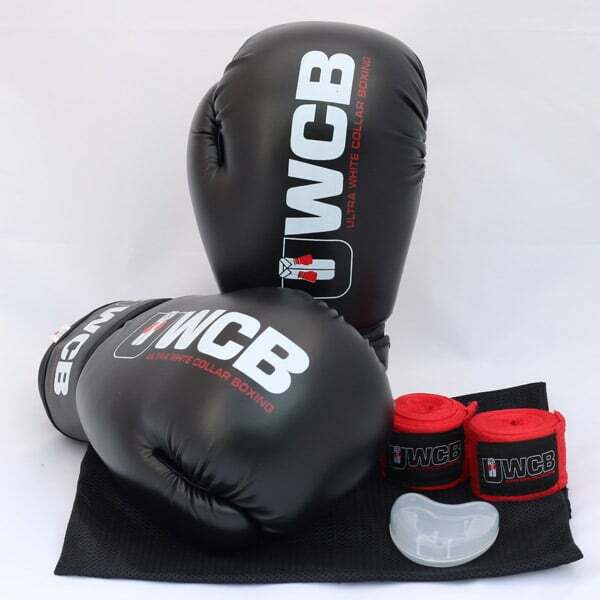 Training Starts: The trainers will take you through a programme to prepare you for your bout. 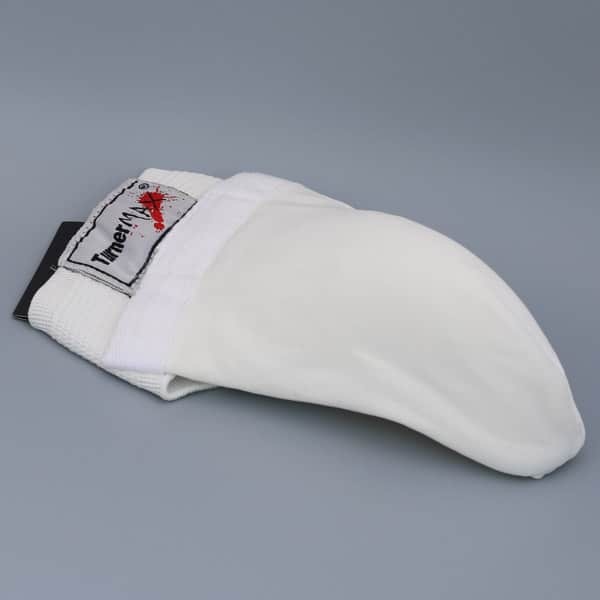 The programme starts with fitness session, footwork drills and then you will progress to sparring. The training will be difficult, it will push you to your limits and you will learn a lot from our expert trainers. The training helps to develop great camaraderie within the group and you will push each other through the process. If you need any advice on fitness, training or nutrition your trainers are on hand to help. 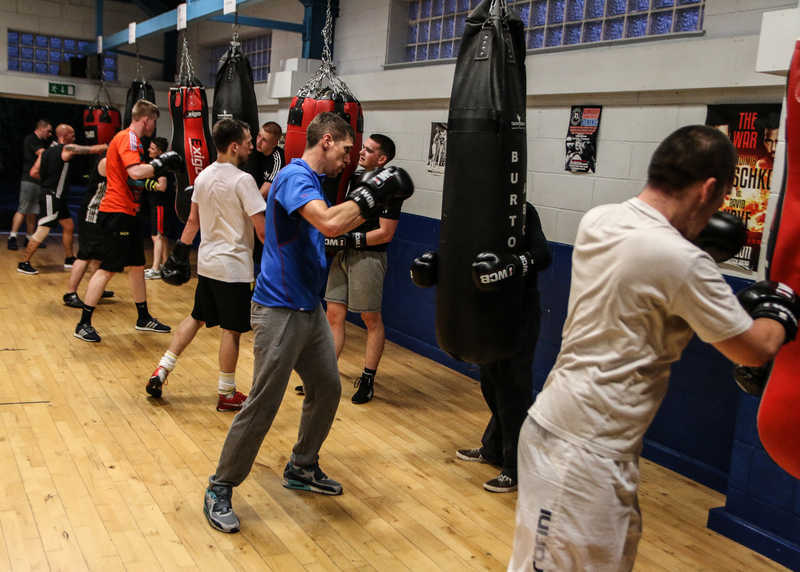 Your trainers want you to get fit and box well, if you need their support, just ask. Match Up Night: Approximately a week before the event you will have your match up night. 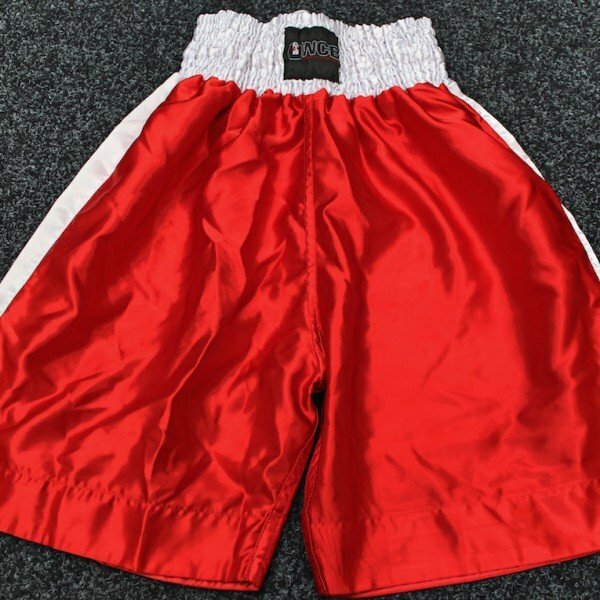 The trainers have watched and assessed you across the training period and they match you to have a fair competitive bout. Matching will be based on weight, fitness and ability. The Main Event: This is where it all comes together, you will be nervous, excited and emotional on the day. 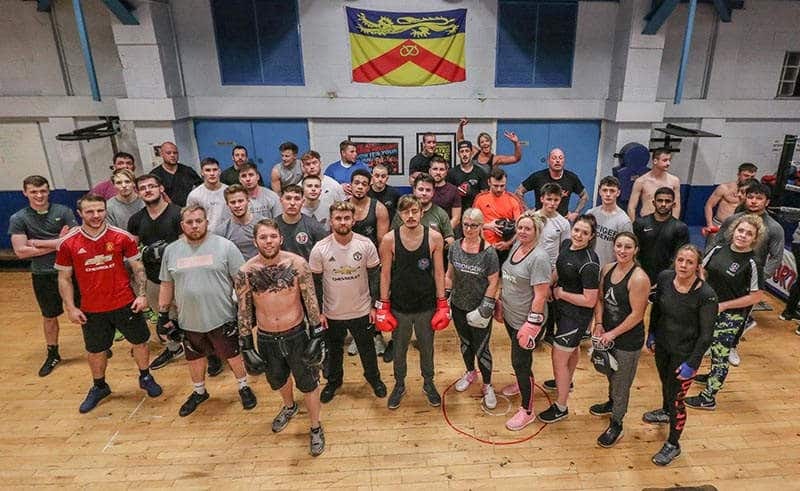 Everyone taking part has had 8 weeks of training and this is a chance to show off your new skills and make your friends and family incredibly proud. You will arrive at the venue 2 hours before doors open. You will have a medical, get familiar with the venue and have a talk through the day by the event representative. Shortly before doors open we will announce the fight order and the crowd with start to arrive. You have the choice to watch the bouts before yours or relax in the changing rooms. Your bout will come around and it’s time to step into the ring, your corner men will be ready and now it’s down to you. You will walk out to your entrance music with a HUGE cheer from your supporters. The bell will ring and you will have a boxing match, it will be 8 minutes of your life that you will remember forever – so give it your all! Whether you win or lose, you will feel incredibly proud of your achievement. You will have done something incredible that only a small percentage of the population have done. In the process you will have helped to raise £15 Million for Cancer Research UK! After The Event: Hopefully you will be feeling super fit as well as leaner and healthier than you were 8 weeks ago. We hope that you decide to continue to keep fit, whether that’s to continue boxing or just continuing to exercise. One thing is for sure, you will have done something incredible. At Ultra Events, we love to see our participants change their attitude to health and fitness and get their children involved in an active, healthy lifestyle. Not only have they done something incredible, but they have also had a positive impact on their family by actively engaging in exercise. If you are thinking about doing it – do it! Click this link and sign up today.